When I was nine years old, I had to deal with the tragic news that my sister, Kelly, had been killed in a car accident. It was only weeks before Kelly's 18th birthday when she made the decision to accept a lift from someone she knew - a driver who happened to be unlicensed. The driver of the car lost control and hit a tree at 80mph, killing them both instantly. My sister was my role model, so it was really tough looking up to her one day and then she was just gone. Turning 18 myself was difficult because it dawned on me that I was reaching an age my sister never had. But now I am using the story of my sister to raise awareness of how important keeping safe on the road is. Young people have so much confidence and enthusiasm for driving, but it can end in tragedy. Through a film, I hope to encourage more support for the training of young people in areas such as reaction times and hazard perception to improve the quality of young drivers. Emma appeared in my television piece to speak about the problems facing young drivers. 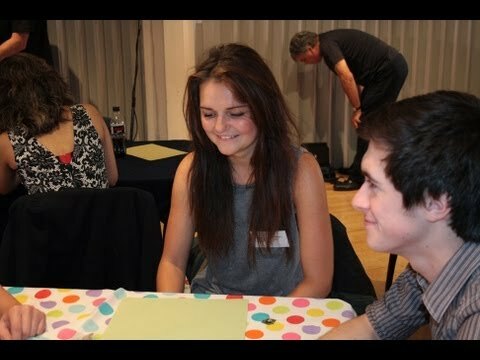 I was a panellist at the Fixers Road Savvy Forum in London. Transport Minister Stephen Hammond and former footballer and TV presenter Gary Lineker were among those there to discuss road safety for young people. Following my attendance at the Road Savvy Forum, I was featured on ITV Meridian News West, click here to watch the full broadcast.